AVRC is uncommon, but not rare. It can be found in one of every 2000 to 5000 adults if you look for it. However, the only time the public generally hears about AVRC is when a young athlete dies suddenly, since AVRC is one of the cardiac conditions associated with sudden death in young athletes. What Are the Symptoms of AVRC? While AVRC is a cardiomyopathy — that is, a heart muscle disease — it only rarely causes muscle problems that are extensive enough to produce heart failure. Rather, its clinical significance is that it can cause cardiac arrhythmias — in particular, premature ventricular complexes, ventricular tachycardia, and sometimes ventricular fibrillation. The symptoms caused by AVRC are usually related to the arrhythmias it may produce. People with AVRC will commonly describe episodes of palpitations, lightheadedness, or syncope. Unfortunately, sudden death may also occur, and even more unfortunately, sudden death may be the very first sign that there is any heart problem. While AVRC can cause sudden death can occur at any time, this event is most likely to occur during episodes of physical exertion. This is why AVRC is one of the conditions that produces sudden death in apparently healthy, young athletes. Many people with AVRC — up to 40% — will have no symptoms whatsoever, and are only diagnosed when they are screened for the disorder because a family member has been diagnosed with it. 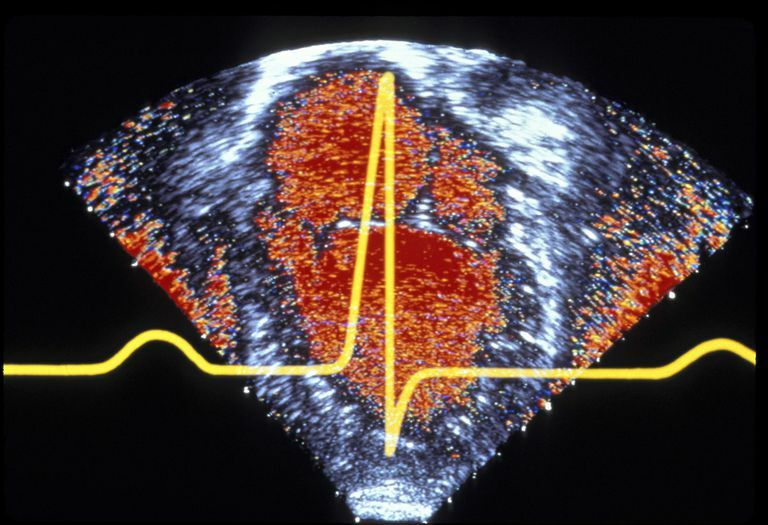 Diagnosing AVRC is accomplished by examining the electrocardiogram (which often shows a particular configuration of the QRS complex), and an echocardiogram (which often shows characteristic abnormalities in the cardiac muscle of the right ventricle — and sometimes of the left ventricle). If the diagnosis remains in doubt, sometimes a cardiac MRI can help pin things down. Genetic testing can also be helpful in making the diagnosis, and is recommended for all people who have this condition. While electrophysiologic testing can occasionally be helpful in distinguishing ventricular tachycardia due to AVRC from ventricular tachycardia caused by other cardiac conditions, such testing is not routinely helpful, and is usually not required. Once the diagnosis is made, genetic screening is also recommended for first-degree relatives. About one in three first-degree relatives of a person with AVRC will also eventually develop this condition. The main goal in treating AVRC is to prevent sudden cardiac death from ventricular tachycardia or fibrillation. Because sudden death is often associated with exercise in this condition, athletes who have AVRC should refrain from all competitive sports, with the possible exception of low-intensity activities such as golf or bowling. Furthermore, they should refrain from any activity that produces significant palpitations. The arrhythmias associated with AVRC appear to be brought out by sympathetic stimulation — the part of the autonomic nervous system that increases adrenaline levels, and is responsible for the fight or flight response. This is why exercise is a problem with AVRC. So, most cardiologists recommend the use of beta blockers in this condition, to blunt the effect of adrenaline in the heart. Implantable defibrillators are strongly recommended for many people with AVRC, in particular, for anyone who has had an episode of cardiac arrest, an episode of sustained ventricular tachycardia, an episode of unexplained syncope, or whose echocardiogram shows extensive involvement of the cardiac muscle. For people with AVRC who have none of these conditions, the risk of sudden death appears appears to be low — as long as they follow exercise restrictions and take their beta blockers. In people with AVRC who have had sustained ventricular arrhythmias, the long-term prognosis appears to be reasonably good if they avoid exercise, take beta blockers, receive an implantable defibrillator, and (in some cases) take an antiarrthythmic drug. Arrhyhythmogenic right ventricular cardiomyopathy is a genetic condition that can produce potentially lethal cardiac arrhythmias, and is one of the causes of sudden death in young athletes. With aggressive treatment, people with this condition often do quite well. Al-Khatib SM, Stevenson WG, Ackerman MJ, et al. 2017 AHA/ACC/HRS Guideline for Management of Patients With Ventricular Arrhythmias and the Prevention of Sudden Cardiac Death: Executive Summary: A Report of the American College of Cardiology/American Heart Association Task Force on Clinical Practice Guidelines and the Heart Rhythm Society. Heart Rhythm 2017. Ruwald AC, Marcus F, Estes NA 3rd, et al. Association Of Competitive And Recreational Sport Participation With Cardiac Events In Patients With Arrhythmogenic Right Ventricular Cardiomyopathy: Results From The North American Multidisciplinary Study Of Arrhythmogenic Right Ventricular Cardiomyopathy. Eur Heart J 2015; 36:1735.